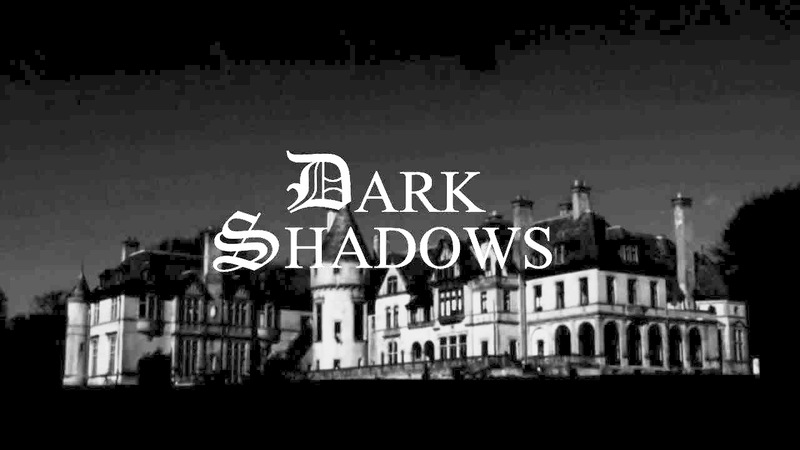 The haunting strains of the Dark Shadows theme song floated into my bedroom. I sat directly in front of my little television with my hand tightly gripping the knob (pre-remote days), waiting in terrified anticipation for the appearance of ...Barnabas the Vampire! The second he appeared I would snap the TV off only to turn it back on again seconds later, unable to resist finding out what happened next in this Gothic soap opera. My hand never left the dial except during commercials for the duration of the show. I developed a habit of sleeping with the covers over my head leaving just an air hole in order to protect my neck while I slept. Of course I knew Barnabas could rip off the blankets and sink his fangs into my tender young neck in a heartbeat, but I felt comforted by my cozy, cotton, cocoon. I still occasionally sleep this way out of habit, over 40 years later. It may not fend off the grown up equivalent of scary middle of the night monsters, but I feel slightly safer. I have another "protective" strategy which is not only pathetically, pointless but actually pernicious. This one was also devised by a younger version of me and involves a disappearing neck. I still continue to employ this toxic trick whenever I feel anxious that I might do something less than perfectly or worry that some nebulous "bad thing" is happening or might happen or could conceivably happen in the future or have the memory of something that happened in the past. In other words, I do it a lot! Perhaps you do it too. Do you ever notice that your neck is crunched and shortened due to the earnest efforts of your shoulders attempting to glue themselves to your ears? Is this accompanied by constricted breathing, a tight jaw, furrowed brow and maybe even the rest of your body trying in some way to scrunch into a little ball? Apparently many of us decided at some point that if we are rigidly armored and curled up we will be safe. Especially from anything that might sneak up on us in life. These methods of resistance sound silly and are, of course, utterly futile, but most of us do some variation of them. We will do just about anything to prevent scary surprises. We see them as wrong and bad. We like to be in control of anything that might cause pain, so we try to anticipate it - as if that will lessen the impact. What it actually does is make us tense and miserable for no real reason - given that the vast majority of the things we fear never come to pass, and those that do are not ameliorated by having anticipated them. Ultimately, there is no way to protect ourselves from harm. Sure, we can keep that burglar from stealing our television with our triple locks but then our dearest beloved's heart is stolen by another lover. We can eat all of the “right” foods and do absolutely everything we think we should do to prevent disease, and then get sick anyway or get hit by a bus. We even try to defend ourselves from joy. The vulnerability of opening our hearts and knowing how much it could hurt if we lose whatever brought us the joy, makes us armor ourselves by imagining the worst possible scenarios. Somehow, we think the refusal to feel the joy by rehearsing grim, unexpected possibilities, will shield our hearts and maybe, superstitiously, safeguard that which we are so scared to lose. 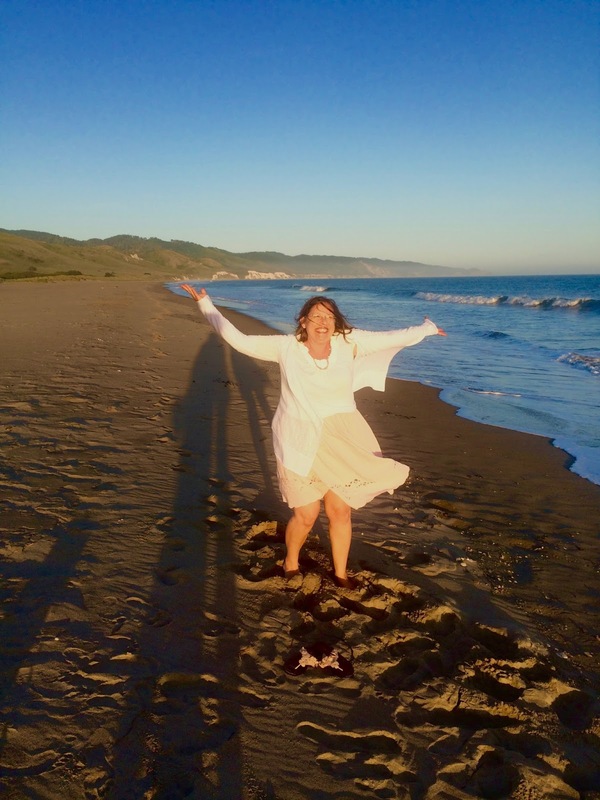 Brene Brown calls this “foreboding joy”. This is about as effective at preventing a surprise loss as my hunched shoulders are in lessening the impact of a fender bender or my blanket armor would be against thwarting a hungry vampire. Barnabas represented all it was scary and evil to me. He could jump out unexpectedly and inflict unspeakable horror on an innocent victim. More than the fangs dripping blood, it was the surprise LEAP out of the dark that was the worst part for me. Life is full of nasty surprises. While we certainly need to take reasonable precautions, (yes, lock your doors, eat your vegetables and don't hang around Collinwood after dark), something is going to get us anyway. “Bad” things happen to “good” people who are “doing everything right”. Be prepared with your Vampire survival kit. "Evil" spelled backwards is "Live". All of our attempts to stave off the big and little crisis' in our world impede our life force, cause suffering for ourselves and others and attract that which we are seeking to repel. Whether intentionally perpetrated by a homicidal psychopath or an imperfect loved one or whether unintentionally brought about by the mistake of a random well meaning stranger, or an impersonal virus; evil happens. As I've said many times before in previous blogs, this does not mean we should take a rigid stance of total nonviolence and never resist anything. There are circumstances which call for defense and possibly even killing, but in my opinion, the percentage of times where this is necessary in comparison to those which would benefit from surrender or a more Aikido like response is tiny. In order to fully live, we need to have the courage to be undefended and vulnerable. It ties up huge amounts of energy to resist what is or what might come to be. 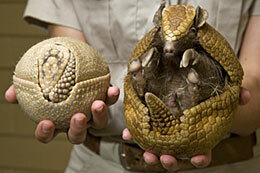 The armadillo imitation is a physical but also a mental, emotional and spiritual posture. When we remember to *breathe* and *relax* and *trust* that all is well --even (as best we can) in the midst of excruciating pain, we can meet whatever arises with more energy, strength and clarity, so we can navigate it with more grace and ease. This leads to far better outcomes for everyone involved and it allows us to be much happier. Of course it is easier said than done, but we can aspire to live this way, and practice with the little stuff. This won't prevent future pain, but it will help us to learn whatever inevitable and invaluable lessons that evil will bring to us. And it makes our lives a whole lot more fun in the meantime. And now after that fun little break, I am getting to the best part of this long post, so if you are skimming, slow down and read the quotes in red below. The following explains the nature of evil in a way that reinforces everything I have been writing about for the past two years in this blog. It explains my life story and the many stories I have been reading and hearing of others who came out better after difficult life transitions. The book the excerpts are from is entitled The King and the Corpse - Tales of the Soul's Conquest of Evil by Heinrich Zimmer. It was edited by Joseph Campbell after Zimmer's death in 1943. These insights were missing puzzle pieces for me. They helped me feel hopeful about the existence of evil and the inevitability of future painful life surprises. I would paraphrase it but the writing is so elegant that I could not do it justice. Read it slowly and feel how it lands for you. There are two quotes and there is more the bottom of the page* for those who are interested. "Those who are innocent always strive to exclude from themselves and to negate in the world the possibilities of evil. This is the reason for the persistence of evil — and this is evil's secret. The function of evil is to keep in operation the dynamics of change. 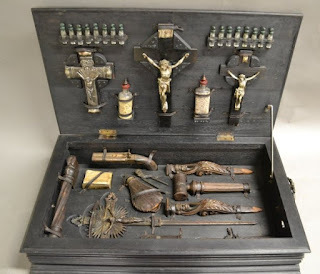 Cooperating with the beneficent forces, though antagonistically, those of evil thus assist in the weaving of the tapestry of life; hence the experience of evil, and to some extent this experience alone, produces maturity, real life, real command of the powers and tasks of life." (p. 49). The first quote was part of a longer explanation of dragons (which frequent readers know are a favorite topic of mine and are a part of my logo) and the last quote was explaining a story featuring the Indian god, Shiva. So I can't resist adding a personal Shiva/surprise story. I recently wrote a blog about how the appearance of Shiva (in the form of a brass statue) in my home on the eve of an extremely "upsetting and bewildering ...difficult to bear" surprise felt like a warning of what was to come. That surprise was the reason I removed this ring from my finger forever, on the following day. 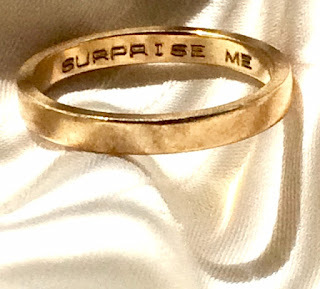 The funny thing is that not only did I unwittingly request this inscription, but at several times (when I suspected that my former husband might be having an affair) I made it clear that the last thing I wanted was a surprise. (I have since learned that it is a really bad idea to keep saying what I do not want as that seems to be an irresistible invitation to the fates). Even the morning of the day everything imploded, I asked my FH one more time if there would be any further surprises when we were to meet with the woman who had shown up at our door two nights before. He assured me there would not be. But thank Shiva, or whatever gods were in charge of that event, there was a surprise, otherwise there is the slight chance I might still be there. And this would have been a terrible thing for everyone involved -- especially me. I just celebrated the 6 year anniversary of my new life here in Marin on June 1. I marvel daily at how fortunate I am to be here and at all of the incredible transformations and blessings that would not have occurred if I were to have stayed in that marriage. I want to make it clear that I do not consider either my former husband or his new wife to be "evil", but their actions (which I labeled as WRONG and BAD, and okay, I might have even said were evil at that time!) served as the catalyst of necessary change, and subsequent evolution as well as an awesome adventure and a fabulous new life for me. There are still "dark shadows "in my life from time to time, but there is also joy beyond anything I could possibly have imagined. I know Life has more surprises in store for me, some of which will only be surprising by their timing. We never know when it is our turn to go or when our next loved one will depart through death if not during some unpredictable reason. The day the following photo of me was taken a couple of weeks ago, I was at the tail end of the first serious (but mercifully short) depression I have experienced in many years. The day began with a one block walk to the fire station just to ensure that I was not, in fact, having a heart attack. And then, just shortly before the photo was taken towards the end of the day, I saw whales and felt a surge of joy that was almost as enormous as the magnificent, creatures I was so lucky to see. Knowing that there is evil waiting for me and for those whom I love, including perhaps, those beautiful whales, will not prevent me from feeling that pain. Yet somehow, trusting that pain, surprise changes and evil are not just random; that they have a beneficial purpose gives me great hope for my life and for all of us. It is my great hope that you experience similar hope and comfort, during challenging times. *"For every lack of integration in the human sphere simply asks for the appearance, somewhere in space and time, of the missing opposite. And the personification, embodiment, of that predestined antagonist will inevitably show its face. And so it is that creation proceeds,... by surprises, involuntary acts, and abrupt reversals. The creation of the world is not an accomplished work, completed within a certain span of time..., but a process continuing throughout the course of history, refashioning the universe without cease, and pressing it on, every moment afresh. Like the human body, the cosmos is in part built up anew, every night, every day; by a process of unending regeneration it remains alive. But the manner of its growth is by abrupt occurrences, crises, surprising events and even mortifying accidents. Everything is forever going wrong; and yet, that is precisely the circumstance by which the miraculous development comes to pass. The great entirety jolts from crisis to crisis; that is the precarious, hair-raising manner of self transport by which it moves. (251). Still reading this long post? Well then you must love to read! So here are 3 book titles which are perfect just as titles, but also contain tons of related wisdom.